Burlap & Lace Barn has been a family owed and operated business for over 25 years. B&L started off as a family run dairy farm until the late 90’s when it became a crop farm that is still in operation. In 2015 the family added on to included an event location. This decision was made after hosting a family wedding in one of the barns. The idea for Burlap & Lace Barn bloomed from the overwhelming comments, suggestions and several requests from their guests to host personal weddings. Dreaming of all the awesome things that they could do to help create amazing barn Weddings, Mother and Daughter decided to team up to bring you B&L. This dream has become a reality as we book events and help to make your dream Wedding come to reality. Whether your vision is an outdoorsy, garden style Wedding, or a country rustic theme or perhaps a vintage, lace beauty, we’ll work with you to make it perfect. 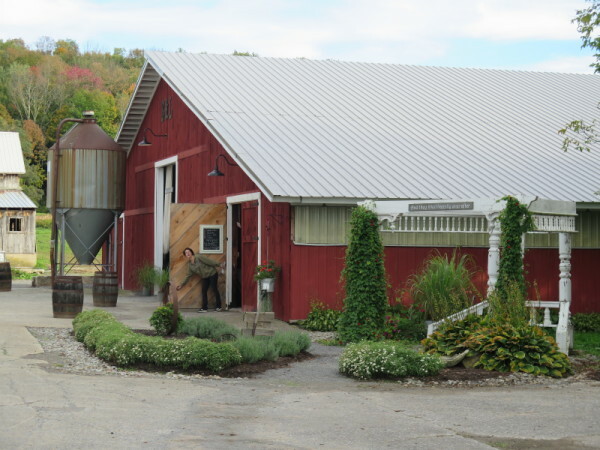 Burlap & Lace Barn is located just outside Camden in Central New York. This gorgeous country side setting offers endless photo opportunities, while the customizable spaces and picturesque views lend themselves to memorable events. "Burlap & Lace Barn was beyond my expectations for a wedding Venue. Everything was perfect on my big day thanks to the family run business. They truly have created a space that is personal towards each wedding and you can tell that this is their passion, not a way to make an extra buck. What settled my decision on Burlap & Lace was the use of any and all antiques they have to offer, included in the venue price! I only had to bring in a few personal items to decorate with since they literally had everything that was in my vision. Thank you Burlap and Lace for everything!" "We are so glad we chose Burlap & Lace Barn as our Wedding Venue. We were able to use so much out of their Barn antiques as center pieces and decorations, and it saved us a lot of time and money. Connie and Lindsay were easy to work with, were very helpful, and very responsive. We received many compliments from our guest. We had many guest who before hand were unsure about our choice to have a reception "in a barn." They were blown away by the beauty and ambiance of Burlap & Lace Barn. I would recommend them 100% to anyone who asked." "Thank you Burlap & Lace Barn for a Beautiful Wedding! !From the first day we met you we knew this was the place for us. Your Venue us absolutely stunning. You kept us at ease and were so helpful to us. We didn't feel like "customers" you made us feel like family. Thank you again from the bottom of our hearts. I can not wait to share the pictures with you." "You are so talented, awesome and incredible. Thank you for helping create the most enchanting memorable day ever."